Workplace happiness is really all about the right fit: finding a job with just the right balance of challenge and reward, and building a team of employees who are engaged and productive. Watch our video below to see for yourself. Many employers have asked what the key is to employee engagement? What is the best way to motivate different types of employees to reach their full potential? After research with more than 23,000 workers in Australia, Belgium, Canada, France, Germany, the Netherlands, United Kingdom and the United States – we have the answers that you’ve been looking for. 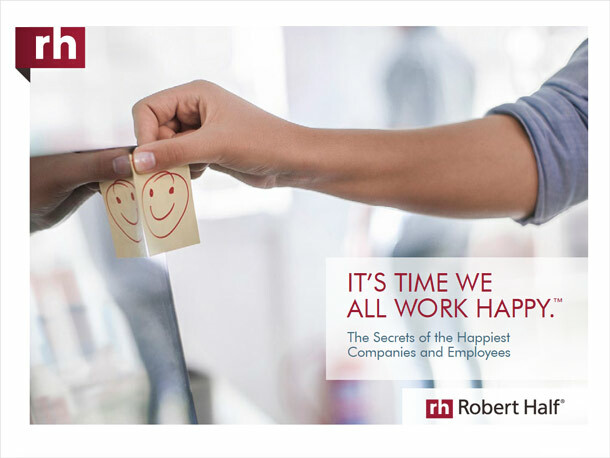 Find out how you can create a culture of happiness at work. Learn how happy employees can benefit your firm's bottom line. Connect the dots between the happiness and health of your workers. See how good working relationships lead to higher levels of workplace happiness.